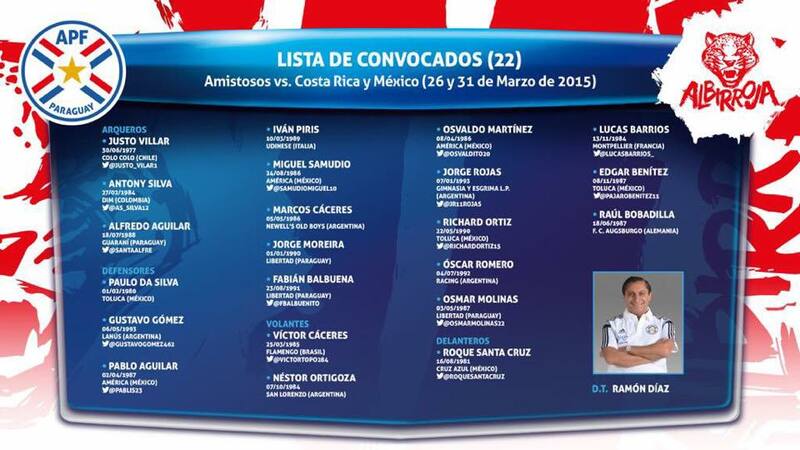 Victor Genes has named his 23-man squad for the 2015 Sudamericano in Uruguay that starts next week. Genes guided the previous group of players to the runners-up spot in 2013 and the World Cup. This year not only a place in the 2015 World Cup is up for grabs but a spot at the 2016 Rio Olympics. Here we look at six key players who will be crucial to the Albirrojita’s chances, they kick off on 14th January against Bolivia, full list of fixtures at the bottom of the post. The defender moved to Spain aged 12 and was at Rayo Vallecano at U-14 level and the first half of the U-15 season before moving to the Colchoneros. He describes himself as good on the ball and an excellent communicator so he will be expected to organize the defence and try to bring some stability while under pressure. Having been learning from Miranda and Godín over the last couple of years he should be one of the most accomplished defenders on show in Uruguay. The 17-year-old has been fast-tracked into the U20s because of his enormous talent, the midfielder made his debut in Primera in 2012 aged just 15 and his performances during the U17s Sudamericano in 2013 even saw him linked with a move to PSG. He’s great on the ball, quick feet and a great left foot that can create and score goals. He is likely to be used as an impact sub but expect that impact to be felt. Bogado broke through into the senior side during the 2014 Apertura making his debut in March but he really came to the fore during the Clausura making 14 appearances and scoring his first senior goal against 3 de Febrero. He makes good runs into the box and will be looking to support his strikers at every opportunity. 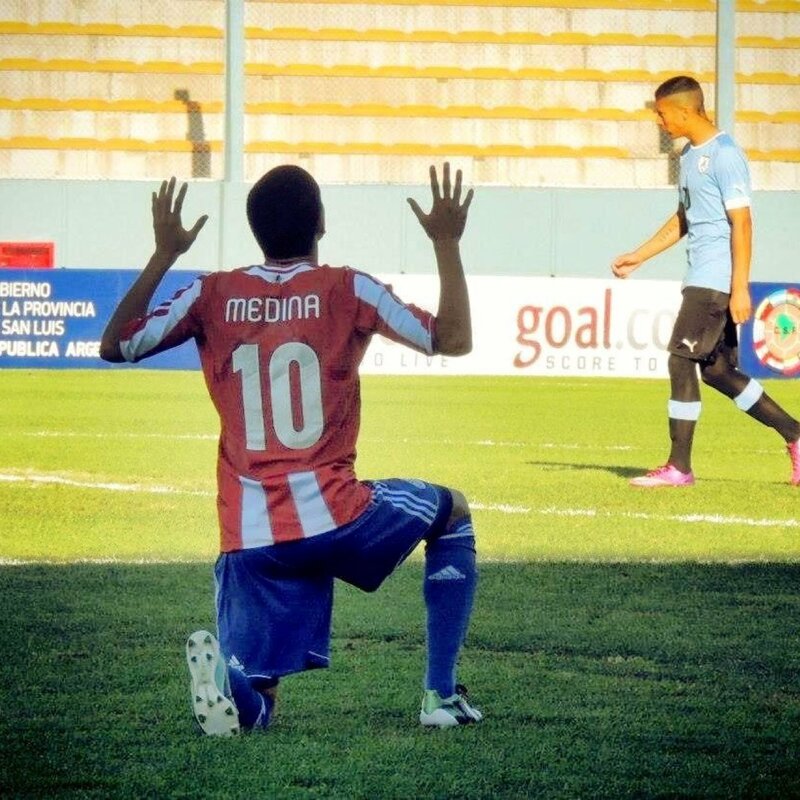 The former La Masia man has had a stellar rise through the Paraguay ranks, in 2013 he played the U17s Sudamericano, the U20s World Cup that same year and weeks afterwards made his senior debut against Germany in Kaiserslautern. He’s yet to get much game time for the Roma senior side but is often in the matchday squad. That kind of experience should suit him at this level and expect him to be one of the stars of the tournament. The diminuitive attacker is the youngest member of the squad but has more senior experience than most having played most of the Clausura in 2014. He managed 8 goals in the league as he formed a partnership with European Champion and Pichichi winner Dani Guiza. Díaz’s low centre of gravity and weaving runs in and around the box has drawn comparisons with Kun Aguero of Manchester City. Expect good things from one of the most exciting players to emerge from Paraguay in the last decade. Should Paraguay finish in the top 3 of this group (they are expected to) they’ll play the Hexagonal final from 26 Jan to 7 Feb with the Top 4 qualifying for the 2015 U20s World Cup, the winner also qualifies for the Olympics and the runner-up has a playoff for the Summer Games. Goalkeepers: José Colmán (3 de Febrero), Miguel Mereles (Libertad), Tomás Echague (Sportivo Luqueño). 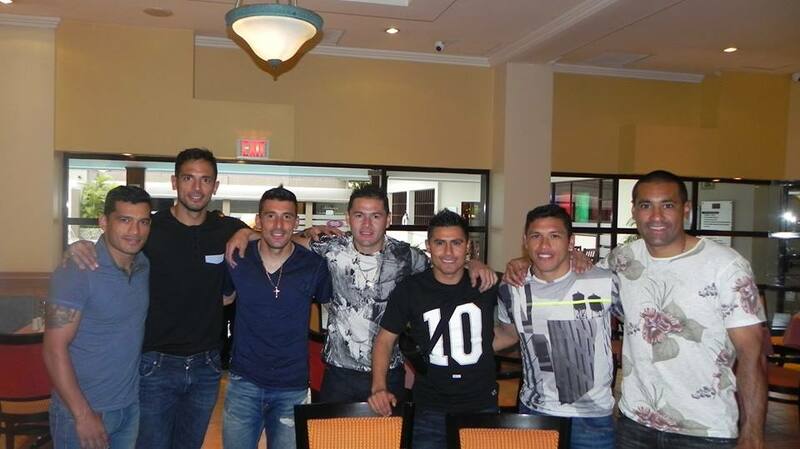 Defenders: Ariel Benítez (Guaraní), Iván Cañete (Atlético Madrid, Spain), Marcos González (Olimpia), Omar Alderete (Cerro Porteño), José Sanabria (Libertad), Juan Escobar (Sportivo Luqueño) & Saúl Salcedo (Olimpia). Midfielders: Gustavo Viera (Corinthians, Brazil) Jesús Medina (Libertad), Jeremías Bogado (Olimpia), Roque Guachire (Libertad), Walter Araújo (Sol de América), Ángel Benítez (Libertad), Enrique Araújo (Nacional) & Danilo Santacruz (Libertad). Forwards: Tonny Sanabria (Roma, Italy), Luis Amarilla (Libertad), Brahian Ayala (Rubio Ñu), Sergio Díaz (Cerro Porteño) & Walter González (Olimpia). Leo Astrada returns to La Olla having had to coach three consecutive away games with Cerro Porteño in his second spell at the Barrio Obrero club. They face a Sportivo Luqueño side that has continued to do well under Daniel Navarro following Eduardo Rivera’s resignation. In fact the auriazul head into this clash with just one defeat in 14 (to leaders Guarani) and are ahead of Cerro in the table. While Arce didn’t want to rest players in the league, Leo Astrada has a history of favouring continental tournaments over domestic so some first teamers players will step aside today. Youngster Bruno Valdez will play alongside Mareco at centre-back while Oviedo and Oscar Romero are set to watch from the bench. 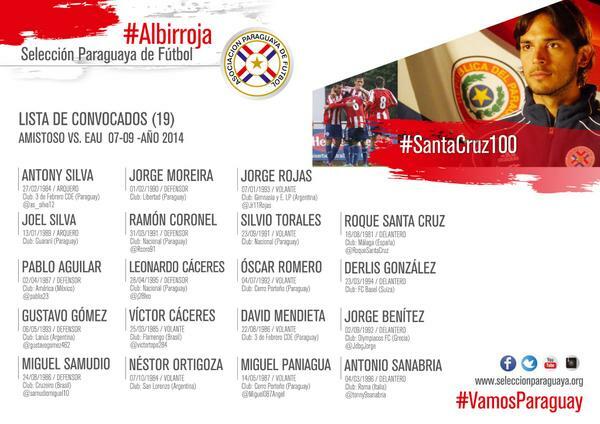 Iván Torres and Sergio Díaz are likely starters. Veteran Brazilian Rodrigo Teixeira and Argentina Guido Di Vanni are likely to play up front, filling Luque’s foreigners quota. 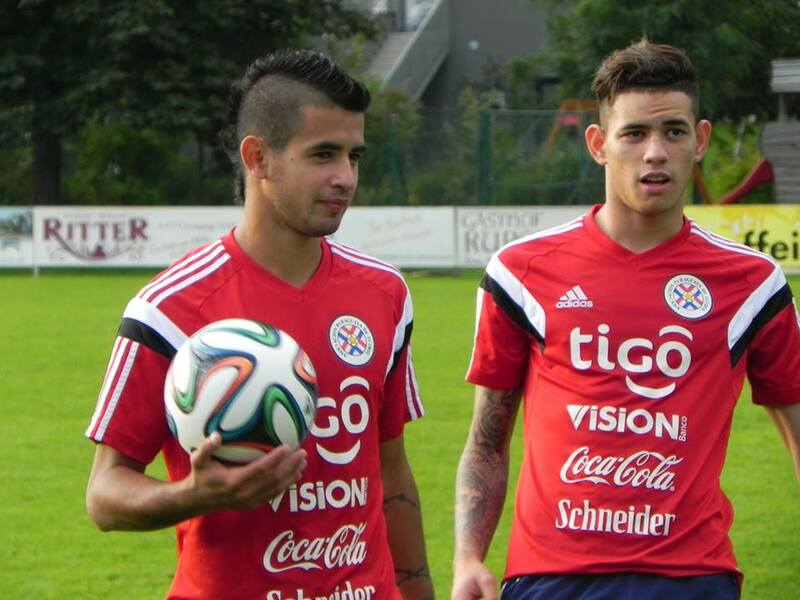 Navarro usually plays with three strikers so either Derlis Alegre or Marcelo Ferreira will fill the remaining spot. Midfielder Luis Miño has been making the side tick so far, the 25-year-old has a good range of passing and is dangerous from far out. Cristhian Aguada the left-sided player is exciting to watch, the 21-year-old full back he likes to get forward and scored the equalizer from the bench against Olimpia earlier in the season – could he do the same today? 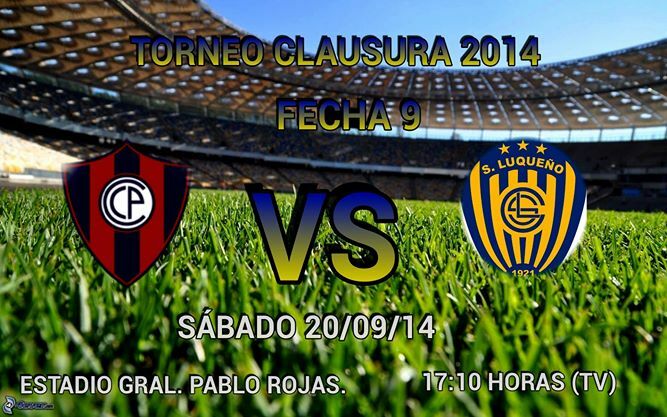 Luqueño XI (probable): Rodolfo Rodriguez; Mario Saldívar, Carlos Rolón, José Leguizamón, Sergio Vergara; Miguel Godoy, Luis Miño, Lorenzo del Valle; Derlis Alegre, Rodrigo Teixeira, Guido di Vanni. Paraguay play their fourth friendly of the year in the Austrian town of Villach where they take on United Arab Emirates. It is their first game against AFC opposition since 2010 when they thrashed Hong Kong 7-0, that day Roque Santa Cruz scored twice and the Malaga striker is set to win his 100th cap for the Albirroja on Sunday. 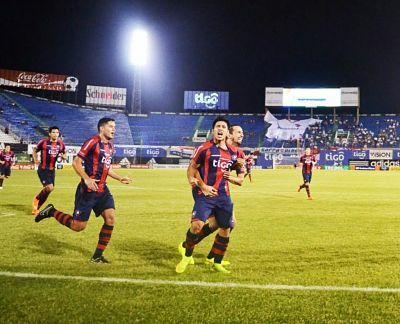 Santa Cruz will become just the 6th player to reach a centenary of Paraguay caps equalling Denis Caniza and Roberto Acuña and he is just three behind goalkeeper Justo Villar. Defenders Carlos Gamarra (110) and Paulo Da Silva (116) are in 2nd and 1st place respectively. 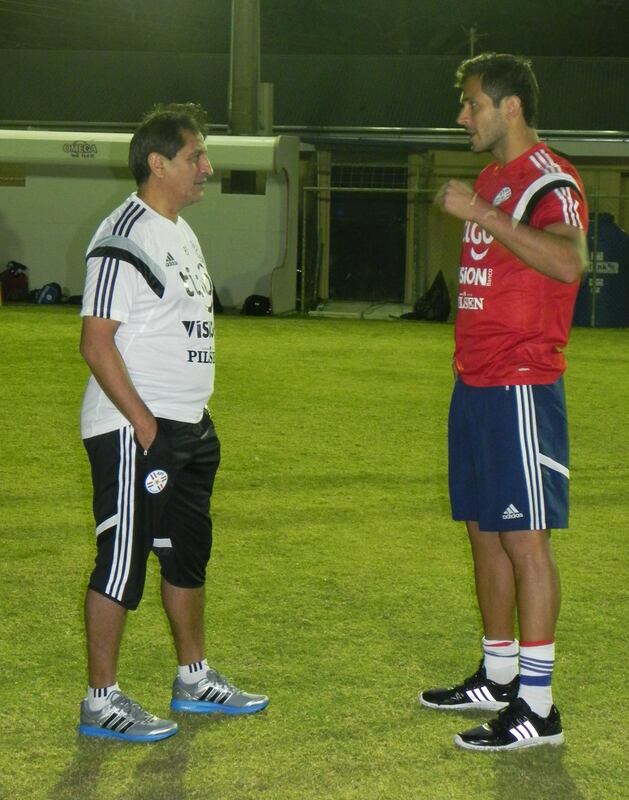 This is Paraguay’s first game against UAE, currently ranked 65th in the world (one place above Ireland) and coached by Mahdi Ali who won the Gulf Cup of Nations last year as they beat Iraq in the final in extra time. They sound like fairly stiff opposition currently on the run of their lives, as Wael Jabir tells me on Twitter “They went unbeaten for 20 games from 2012 – 2014 with a peak FIFA ranking of 58 in February” and there is no doubt who the star player is “Omar Abdulrahman…search his name on YouTube” says Abdulraham Almheiri (so I did) while @aeody has taken to calling him “Maestro Omar Abdulrahman” such is the 21-year-old’s obvious talent. 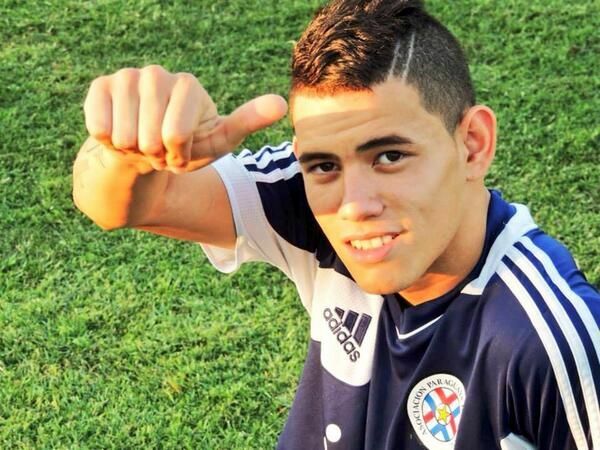 Of course the current Paraguayan crop have their fair share of exciting attacking talent – Tonny Sanabria of Roma is being groomed for next year’s qualifiers and he is likely to be flanked by FC Basel’s Derlis Gonzalez and Cerro Porteño’s Oscar Romero in a fluid trident behind the target man Roque. In central defence Pablo Aguilar of Club América is looking like the new leader and he could well be handed the armband once Santa Cruz steps aside, he’ll partner youngster Gustavo Gómez again with a view to the qualifiers after the 2015 Copa América. Victor Genes has given Copa Libertadores winner Nestor Ortigoza a 2nd chance, the big man in midfield needs those around him to do the leg work but he will surely find the runs of the flying youngsters like Derlis Gonzalez and Sanabria time and again. Paraguay beat Georgia and Cameroon at neutral venues in 2006 and 2014 and played a goalless draw with Austria in Vienna in 2007.